Randolph AFB , located between IH-35 and I-10, is part of the San Antonio Metropolitan Area, just northeast of San Antonio, Texas. San Antonio is considered to be a "military friendly" town: home to three large military installations. Randolph houses several headquarters including Air Education & Training Command (AETC), Air Force Personnel Center (AFPC), Air Force Headquarters Recruiting Services and Nineteenth Air Force (19AF). The base operator's phone number is 210-652-1110 or DSN 312-487-1110. Fort Sam Houston is surrounded by the city of San Antonio, Texas. Situated in Bexar County, San Antonio is the seventh largest city and is known as "Military City USA". The city shares a wonderful rapport with members of our military community. The base operator's phone number is 210-221-1211 or DSN 312-471-1211. Fort Sam Houston is 8 miles from San Antonio International Airport, 80 miles south of Austin, and 70 miles from Fredericksburg a little German town. The Texas Gulf Shoreline spans as far south as South Padre Island to as far east as Port Arthur and includes Corpus Christi and Galveston (144 miles and 245 miles respectively) . San Antonio enjoys over 300 days of sunshine annually and an average temperature of 68.8 degrees. You will find that in accordance with the first quarter of the 2008 Cost of Living Index, San Antonio's overall after-taxes living costs are 11.3 percent below the nationwide average. This is partly due to housing costs which are 22 percent below the national average. 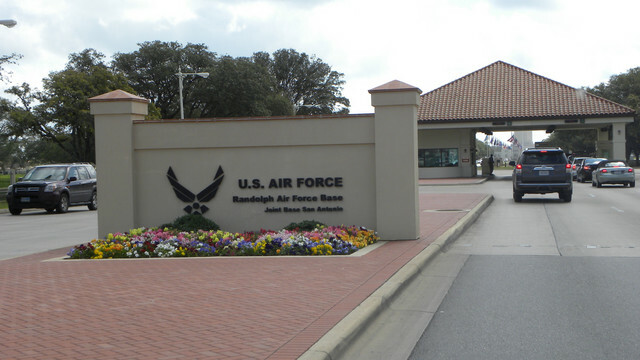 Lackland Air Force Base is located southwest of San Antonio, off Highway 90 at SW 36th Street from the west, and General Hudnell exit from the east. San Antonio is in Bexar (pronounced bear) County in south central Texas. Lackland AFB is one of three installations comprising Joint Base San Antonio as part of the 502nd Air Base Wing. Base support functions and services are managed by the 802nd Mission Support Group. 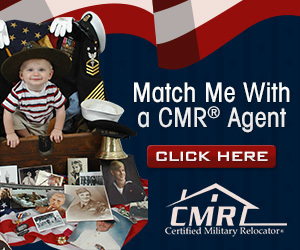 Businesses actively court the military by offering discounts. Although the summers are hot, overall the climate is relatively mild and offers opportunities to be active year round. The cost of living remains around 90, below the national average of 100. No matter what your interests are, there is undoubtedly something here for you. The base operator's phone number is 210-671-1110, or DSN 312-473-1110. Lackland is expanding its online social media presence. Please visit the 802nd FSS and Public Affairs Facebook page . Fort Sam Houston was founded in 1845, and named for General Sam Houston, hero of the battle of San Jacinto and first president of the Republic of Texas. Fort Sam Houston is unique among Army posts. On one hand, it is a major, active military installation and plays a vital role in the defense of the United States. On the other hand, it contains some of the oldest structures on any Army installation. Two of those sights are the Pershing House and The Quadrangle. This blend of old and new gives today's soldiers a share of the post's history which dates back more than 150 years. For more information, go to the Fort Sam Houston homepage . Lackland AFB is named after Brigadier General Frank Lackland, who was commissioned into the Army after serving in the District of Columbia National Guard. Construction on the base began on June 15, 1941, and was originally part of Kelly Field. One year later, it became an independent organization called the San Antonio Aviation Cadet Center. On February 3, 1948, the facility became Lackland AFB, Gateway to the Air Force. For more information, please visit the Lackland AFB homepage. Randolph Field was dedicated on June 20, 1930, as a flying training base and continues in this mission today. The idea for Randolph began soon after the establishment of the Air Corps Act in 1926, which changed the name of the Army Air Service to the Army Air Corps. General Frank P. Lahm was placed in charge of all flying training and established the Air Corps Training Center and set up its headquarters at Duncan Field, next to Kelly Field, TX. After deciding the facilities at Kelly and Brooks Fields were not sufficient for proper training, the Air Corps soon decided an additional training field was needed. Randolph Field was named after Captain William Millican Randolph, who crashed his AT-4 on takeoff returning to duty at Kelly. He contributed immeasurably to the progress of aviation and served on the base name selection committee. After the Air Force became a separate service on September 18, 1947, Randolph Field was officially named Randolph Air Force Base on January 14, 1948. For more history visit Randolph's homepage. The primary mission at Fort Sam Houston is as a medical training a support. The post is the home of the U.S. Army North, Institute of Surgical Research, Army Medical Department Center and School, Army Medical Command, U.S. Army South, U.S. Veterinary Command, Great Plains Regional Medical Command, Installation Management Command, Military Entrance Processing Station, 5th Recruiting Brigade, San Antonio Military Medical Center (SAMMAC) and 502nd Air Base Wing . Fort Sam Houston provides facilities and support for the activities of garrison units and other tenant organizations. Provide basic training for all non-prior service airmen of the regular Air Force, Air National Guard, and Air Force Reserve. Provide modern technical training in the fields of security and law enforcement, military working dog handling, combat arms, recruiting, supply, transportation, services, food preparation, and social actions. Provide students from 117 countries the opportunity to increase their proficiency in the English language through its Defense Language Institute English Language Center. Provide technical training in Spanish for military allies from Central and South America. Provide medical training programs at Wilford Hall Medical Center. In response to the Joint basing initiative, Lackland activated the 802nd Mission Support Group on February 2, 2010, and realigned under the new 502nd Air Base Wing at Ft. Sam Houston. Several 37th Training Wing staff agencies were realigned in a move to maximize operation training and support missions throughout the base. The 37th TRW retained positions in agencies that were specific to the training mission, while mission support roles reorganized under the 502nd. Randolph: Randolph AFB is home to numerous Department of Defense units, including Headquarters Air Education and Training Command, Air Force Personnel Center and the host unit, the 12th Flying Training Wing. Air Education and Training Command's mission is to develop America's Airmen today...for tomorrow. They take America's sons and daughters - young men and women who have volunteered to serve their country in a time of war - and develop them into Airmen. AETC's mission begins with the Air Force Recruiting Service. With 24 enlisted squadrons, three health professions squadrons and more than 1,200 recruiters assigned throughout the United States and overseas, the Recruiting Service's mission is to inspire, engage and recruit the brightest, most competitive and diverse young men and women for service in America's Air Force. Air Force Personnel Center is the Air Force's Human Resources division implementing personnel, manpower and services programs for nearly 330,000 active-duty members and 150,000 civilian employees through a worldwide network of personnel flights. AFPC carries out the programs covering all life cycles of military and civilian personnel for the Air Force, including defining resource requirements and developing and delivering Airmen for the Air Force and the joint environment. AFPC also manages the implementation of services programs for Airmen and families. The 12th Flying Training Wing is the Source of America's Airpower, delivering unrivaled airpower leaders for the future of the U.S. Air Force. The wing, which is headquartered at Joint Base San Antonio-Randolph, consists of three flying groups and a maintenance directorate spanning more than 1,600 miles. The 12th FTW is responsible for four single-source aviation pipelines. These pipelines include combat systems officer training, pilot instructor training, as well as remotely piloted aircraft pilot indoctrination and basic sensor operator qualification. The wing manages all airmanship programs for the U.S. Air Force Academy and serves as the single screening point for all hopeful aviators to include pilots, RPA pilots and CSOs. The wing also hosts the introduction to fighter fundamentals program as well as conducts electronic warfare training for the U.S. Air Force and multi-national forces. Each year, the wing graduates more than 850 instructor pilots, 350 combat systems officers, 500 remotely piloted aircraft pilots and sensor operators, and trains more than 2,500 U.S. Air Force Academy cadets and 2,200 undergraduate flight training candidates. Lackland consists of 46,577 people. Of these, 24,702 are active duty members. Another 10,131 are DoD civilian employees. The remaining 11,744 are contract employees, and family members. Lackland is comprised of the 37th Training Wing, National Guard 149th Fighter Wing, the 59th Medical Wing, the Air Force Intelligence, Surveillance and Reconnaissance Agency, the 24th Air Force Wing, 67th Network Warfare Wing, Cryptologic Systems Group and the National Security Agency plus 70 additional associate units. Randolph is home to 4,423 military members who have 5,291 dependents. DoD and NAF civilians combine for a strength of 5,778 for a total population of 15,492.